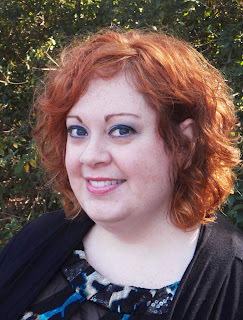 On her thirtieth birthday, she mourned (okay bawled) the fact that in no way could she still be considered a “young adult,” so she rebelled by picking upTwilight and promptly fell in love with Young Adult literature. She has a love/hate relationship with Mardi Gras –where does all that money come from?–and can sneeze 18 times in a row. Oddly, no. I wish I could say, "I've dreamt of being a writer since I was in diapers ... " but that's not how it happened. I've always been good with words, but I mainly focused on nonfiction writing. I thought I was going to be an English professor or newspaper copyeditor, and I did both those things briefly. When I had my kids, my professional life got put on hold, and then we moved a thousand miles across the country. Culture shock made me finally attempt fiction writing. Want is so heavy, I think people would be surprised to know that I love to make people laugh. My personality is much more like Dave's than any other character! Oh, and I've been skydiving. Teachers are people. I was taught to respect authority, so I spent most of my school years thinking of my teachers as gods. I adored most of them. I got a rude awakening in high school when one teacher was verbally abusive, and another I caught teaching false information. When I confronted him about it (I went and did research -- I'm such a nerd) he said, "Well, it got you to investigate, didn't it?" WORST. EXCUSE. EVER. Develop a thick skin and be mentally tough. This is much easier said than done. Can you tell us when you started Want, how that came about? I started Want in the spring of 2010, after an experience at a Mardi Gras parade in Mobile, Alabama. There was a really stuck-up woman who was obviously the wife of one of the mystic society members. Even though it was tank-top weather, she was wearing a fur coat, pearls, heels, the whole nine yards, and was extremely rude. She made me so mad that I took a picture of her from behind so I could remember that moment. I began wondering what it must be like to keep up that holier-than-thou attitude all the time, and the toll it would take on her family. I couldn't imagine how horrible it would be to have her as a mother, and that's where Juli came from. What was one of the most surprising things you learned in creating Julianne? It wasn't until I had shipped Want out to beta readers that one of them said, "You know Juli is textbook Borderline Personality Disorder, right?" I had no idea--I'd just tried to create a character that had issues because of what was happening at home. I imagined what her mindset and reactions would be like. Once she was "diagnosed" by the beta reader, I did more research and added it to the story. It totally fit. If you could introduce Isaac to any character from another book, who would it be and why? Hah! Maybe I'd introduce him to Katniss so he could see what real suffering looks like, and how to stand up to your enemies and take responsibility. She'd kick his you-know-what! Stop worrying so much about what you aren't and what you think you should be. Embrace who you are and seek out people who like you for it. My favorite grandmother (and last remaining grandparent) died a couple months ago. I miss going to her house and reading tabloids with her. We'd giggle over the horrible headlines, and then she'd make grilled cheese and we'd play Yahtzee. She was extremely influential in my life. I cry all the time! I'm totally emo, LOL. A good friend had to put his dog down, and my family went through something similar not too long ago, so seeing him so upset made me upset. He texted me a picture when he got his dog's ashes back that said, "Welcome home, Atticus." I lost it. I have bizarre dreams almost every night, but I can never remember them more than a couple hours after I wake up. The worst involve losing my kids or something bad happening to them. That is truly horrifying and much worse than any monster. I'm totally stalkable! My website is www.StephanieLawton.com; my Facebook author page is www.facebook.com/StephanieLawtonWriter; Twitter handle is @Steph_Lawton; Tumblr ishttp://www.tumblr.com/blog/stephanielawton (although I don't use that very much); and my Pinterest (with book inspiration boards) ishttp://pinterest.com/steph_lawton/. If all that fails, my email is steph_lawton@hotmail.com. Stalk away! Thank you Walden Pond Press & Barry for making this giveaway possible. 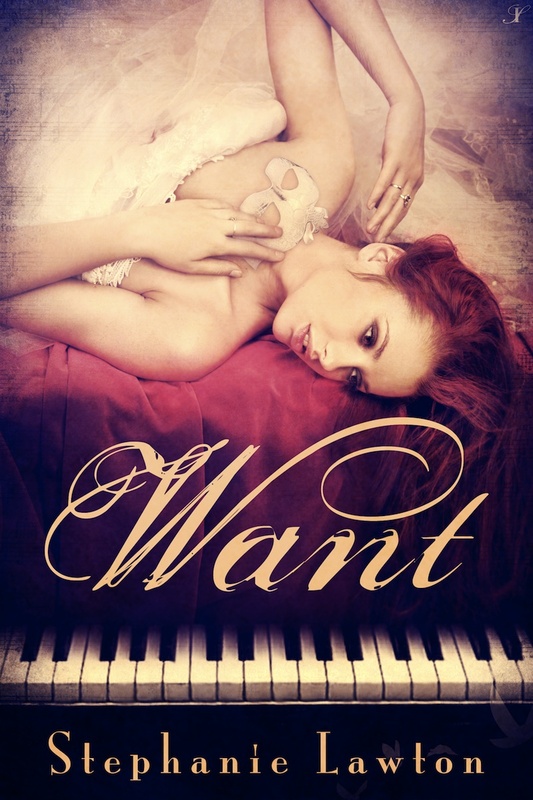 1 Winner will receive one Signed copy of Want by Stephanie Lawton. I CRY over EVERY LITTLE THING!! No instruments for me but my daughter who is 15 months, and I sing loudly all day long! No, I don't play a musical instrument. Although I was known to play a mean triangle at school! LOL! I just ordered your book--it sounds wonderful (and it has a gorgeous cover). I'm so proud of you, Stephanie! I have no musical talent at all!! I can sing (but badly) lol. I played the piano and cello for a while but I didn't stick with it. I didn't think I was very good at either instrument. Thanks for all the interest in WANT! Yes I play guitar and am learning piano. I love music and writing poetry and song lyrics. I would LOVE to, but I don't, I might learn something someday, but my mom, friends, family and teachers used to say "my voice is an instrument." I'm proud of that. nope. tried the violin when i was younger but didn't take. No I dont :) I played 7 years ago for flute but I stopped. Not for a long time. I used to play the trumpet, but then I switched to the flute. Great giveaway, as always Jean! I sing, took piano lessons, tried playing other instruments but ended up being a percussionist for seven years in school. I still wish I could play the piano better, but such is life. Thanks again and have a great day! No, but I did play clarinet when I was in middle school. I played the flute in middle school and high school. I still know how to play but dont do it very often. Thanks for the aweseom giveays! I can play the guitar a bit. Not really, I can play a few easy songs on the piano but that's about it lol.